Quite a few people have been asking what the difference is between, VideosTone and vWallpaper. Below is a breakdown of both the applications (the numbers are corresponding). 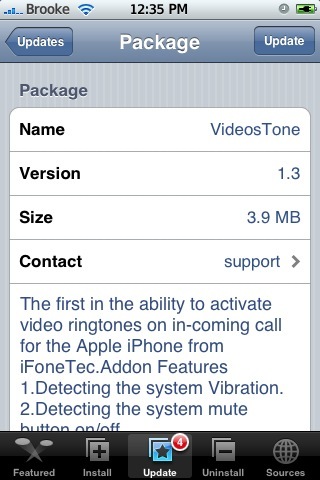 The VT Update Pack for VideosTone allows you to mute the video ringer by tapping the volume button on the side of your iPhone. A simple update but, necessary!! You will need to have VideosTone installed before installing the update. 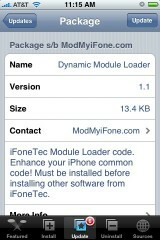 You can get the VT Update pack via the ModMyiFone source. 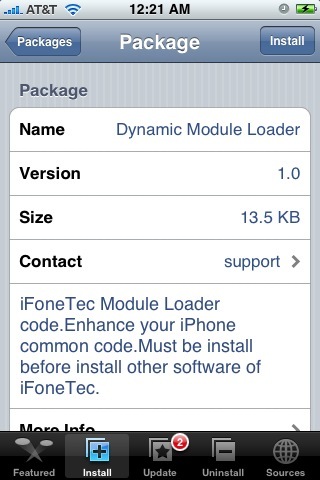 The update to version 1.1 of Dynamic Module Loader and VideosTone moves the applications to the ModMyiFone source. Which makes downloading the package MUCH faster!! There are no visual changes with the update, just a new source. Check out the full review of VideosTone HERE. 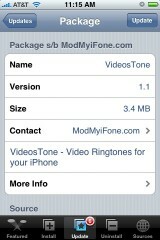 VideosTones is an application that allows you to set a video ringer. 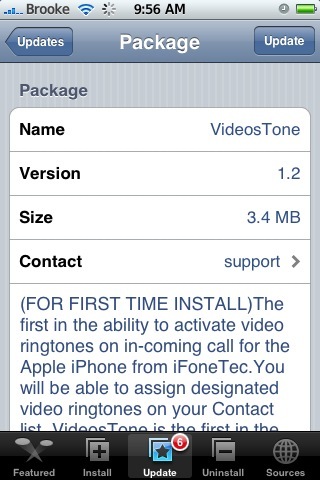 Video ringers is a feature that the iPhone has always lacked. I had phones in the past that had the ability for video ringers and I was really stoked to see that is was finally available for the iPhone!